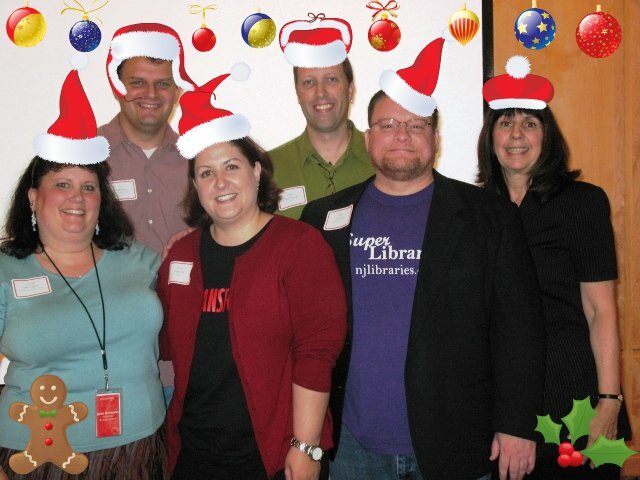 Season’s greetings from the entire blog team of Library Garden. May your holidays be merry and bright and may 2008 bring you joy (and large library budgets) in abundance. Note: Cynthia, the newest member of our blog team, is not in the photo. This picture was taken on the one and only day since we started blogging that the LG team was together in one room. We hope to get a new picture with all of us at some point in January if our schedules allow. Entry filed under: Library Garden. Tags: holiday.